This is a very simple form into which the user enters a department and section code and clicks a button labelled Get Employees. 1. 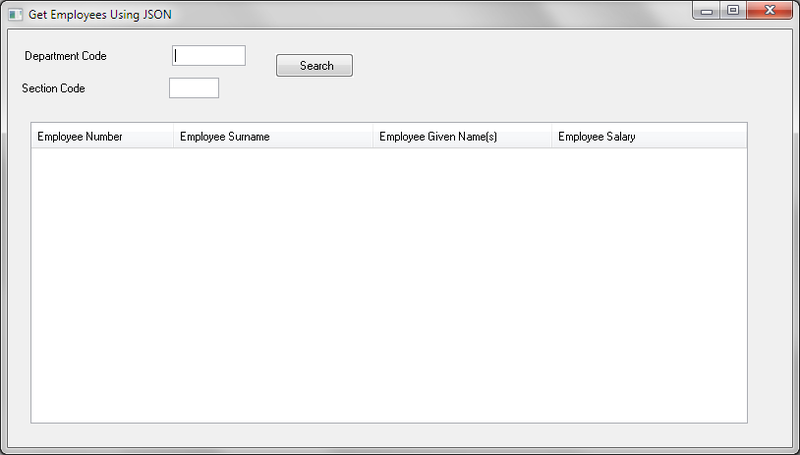 In the LANSA Editor, from the File menu, create New / Basic Form, iiiFRM05 – Get Employees using JSON. Create the form as RDMLX enabled. Change the CALL statement to call your function iiiFN11.